‘The President laughed off the rumours that he was dead and that he was gravely ill.
Mutharika was introduced to the assembled journalists by his spokesman Hetherwick Ntaba and the country’s vice president Yunus Mussa, who called the leader on his mobile and handed the phone to the media. 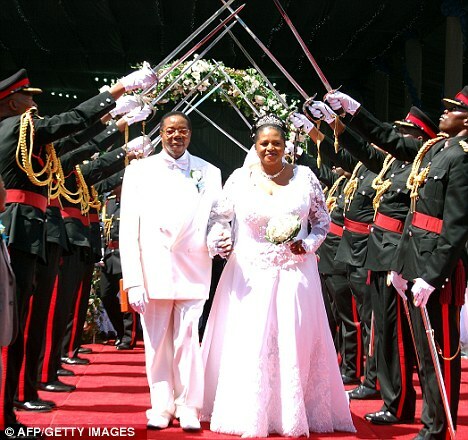 However, his brother Aurther-Peter Mutharika, the country’s foreign minister and heir apparent, said he was simply enjoying a shopping trip with his wife. Meanwhile the president’s recent actions have led to strained relations with Britain. In April Mutharika was criticised by London after threatening to expel the UK’s high commissioner to Malawi when the diplomat expressed concern over his autocratic rule.